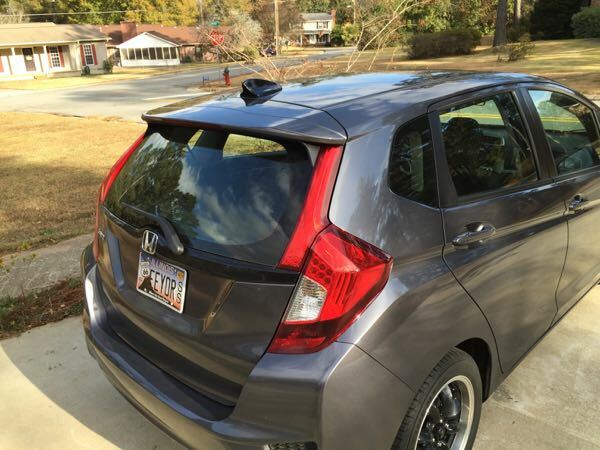 Which aftermarket shark fin antenna? I have seen a few pictures floating around of shark fins installed on your new fits, Could anyone chime in with pics of your antenna's and where you purchased them online? Thanks! Here is a thread. I have one from Visual Garage- (http://visualgarage.com/) they do a great color match. Their website has been down forever- but they respond to emails and ship quickly. Are these compatible with the OEM XM? I don't think it is too large- have seen lots longer ones. With the color match, I think it blends nicely with the car. If it were black, it would look odd.